Following a most recent heinous crime in Chicago where four black 18-year old thugs, two male, two female, kidnapped, tortured and abused a terrified young white man with special needs, the Chicago Police Superintendent Eddie Johnson said ‘Kids make stupid mistakes.” These four thugs ran the live video feed of the beatings and torture on Facebook. In Chicago in 2016, there were 762 murders, and 3,550 shootings, marking a 50 percent increase over 2015 -more than New York City and Los Angeles combined. These shootings and murders are the work of gangs. Chicago police acknowledge that street violence is always gang related, and of that, most of it is narcotics gang related. Many blame the high homicide rate on Mayor Rahm Emanuel’s harsh gun control policies because law-abiding citizens cannot legally protect themselves. Memorial Day weekend 2016, 69 people were shot in Chicago. Over the Fourth of July weekend, there were 42 shootings, where four people were killed and 46 were injured, according to Chicago police. In August alone, there were 90 homicides. And incompetent officials like Chicago Mayor Rahm Emanuel and his Police Superintendent Eddie Johnson claim, the problem is too many guns: “We have too many guns in the streets of Chicago and too many people willing to use them,” Johnson said. Chicago’s WBEZ News reported the city has at least 59 gangs with 625 factions, which span all over the West and South sides of Chicago. 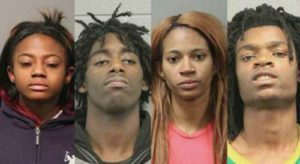 According to ChicagoGangs.org, there are African American Gangs, Asian Gangs, Arabic Gangs, Female Gangs, White Gangs, Latino or Hispanic Gangs in Chicago. There are Folk Street Gangs, People Street Gangs, and Street Gangs, which according to StreetGangs.com, totals 100 gangs in Chicago. Behind much of the undermining of the Chicago police is the ACLU of Illinois, which accused the Chicago Police Department in 2015 of engaging in racially biased stops, because its stop rate did not match population ratios. “Blacks were 72 percent of all stop subjects during a four-month period in 2014, reported the ACLU, whereas whites were 9 percent of all stop subjects. But blacks and whites each make up roughly 32 percent of the city’s populace. Ergo, the police are racially profiling,” Heather Mac Donald reported in City Journal. Then–police superintendent Garry McCarthy and the city’s corporation counsel signed an agreement in August 2015 allowing the ACLU to review all future stops made by the department. In California, there are more than 450 active gangs in just the City of Los Angeles. 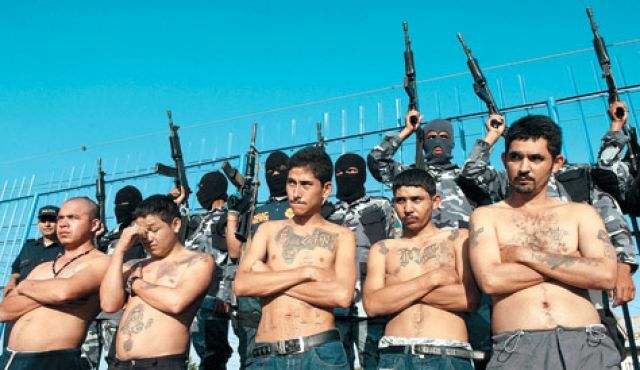 Prison gangs, street gangs, and transnational gangs dominate cities and poor urban areas. Los Angeles Mayor Eric Garcetti signed a citywide ordinance in 2015 prohibiting the ownership of large-capacity detachable firearm magazines (scary looking guns). The controversial measure was introduced by City Councilman Paul Krekorian, written by former Assemblyman and now-City Attorney Mike Feuer, and passed the council by unanimous vote. The California State Auditor reported in 2015 the statewide gang database is an inaccurate error-ridden disaster, as well as grossly out of date. The gang database is “maintained by law enforcement agencies, with oversight by an executive board and advisory committee made up of local law enforcement officials with no statutory authority,” the Los Angeles Times reported. Naturally, the ACLU requested the database be scrapped. The State Auditor recommended that CalGang be overhauled with a new oversight structure, administered by the state Department of Justice. Fueled by the Black Lives Matter narrative, that all cops are racist and looking to kill black men and boys, has made the street dynamic much worse, and is behind overreactions by cops, as well as under-reactions. It’s also interesting to note, States with the largest increases in gun ownership also have the largest drops in violent crimes, says John R. Lott, Jr., author of More Guns, Less Crime, now in its third edition, with updated statistics from the last 10 years, including detailed analysis of the effects of gun bans in Chicago and Washington, D.C. Lott proves that States with the most restrictive gun laws also have the highest murder rates, while states with much less restrictive laws, and those which allow open carry, have far fewer murder rates. MacDonald points out that the “ACLU straitjacket” on police has not only depressed morale, there is a growing resistance of lawful authority. These inner-city hellholes are a direct result of leftist rule, and children and innocents are dying because of it. The federal government must start treating gang violence as Domestic Terrorism in order to save our children.